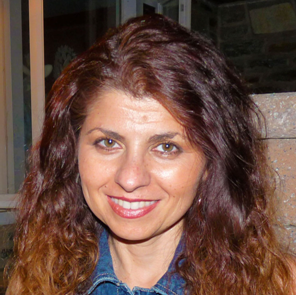 I currently write children’s books, but I am open to Middle Grade and Young Adult as well. Stay tuned for a YA in the near future! 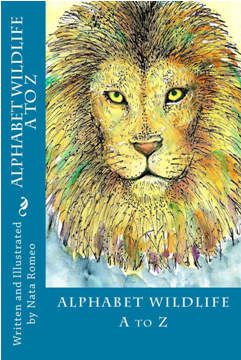 My first children’s book released on 07/07/14 is titled ‘Alphabet Wildlife A to Z’. It’s an easy reader alphabet book. Each letter represents an animal, and they’re hand drawn using pen and ink. The lion book cover art was illustrated in watercolor and pen and ink. At first, I had no clue on how to market my book. After doing an extensive online research, I then followed other authors who write my genre and saw how and where they marketed their books. Also, Jo Linsdell’s book, ‘Virtual Book Tours: Effective Online Book Promotion From the Comfort of Your Own Home’ was very resourceful. I use social media to promote my book such as, facebook author page, blog, rafflecopter giveaway, goodreads giveaway, twitter, linkedin, pinterest, ect. I listed my book in kindle format free on Amazon for two days. I was surprised to see there was a great interest in my book with approximately 700 digital downloads, which resulted in boosting my paperback sales. I have a long list of favorite authors! But to narrow it down, then I’ll have to go with children’s books: Maurice Sendak, Margaret Wise Brown, and Eric Carle. Middle Grade: Jerry Spinelli and Roald Dahl. Young Adult: Suzanne Collins, and Lauren Oliver. Read, read, read, what you want to write. Learn to storyboard/dummies to see if your story flows. Join SCBWI, go to workshops, and join critique groups. Not only will your writing improve, but you will meet other talented writers and illustrators that also share your passion. Also, don’t stress, BELIEVE in yourself and you will ACHIEVE! The aim of art is to represent not the outward appearance of things, but their inward significance. Aristotle. The best thing about being a writer is being able to let my imagination run wild. I am not a wild person in real life, but my imagination is! The illustrations took one month to complete, so let’s say a drawing a day for a month. The writing it’s self didn’t take very long because the text was very simple (A is for Ape, ect). The original illustrations are in a book that is housed in the Brooklyn Art Library (https://www.sketchbookproject.com/). Currently, I have three books in the Brooklyn Art Library.